I honestly think that Rhodia shows these inks better than Tomoe River. While there is much less sheen the shading is pretty high, and performance is actually slightly better; less bleed through and faster drying. These swatches and and glass nib dippings were very wetly applied, but it's still surprising for Tomoe River to loose out. Sailor Apricot and Sailor Kin-Mokusei are very similar indeed. 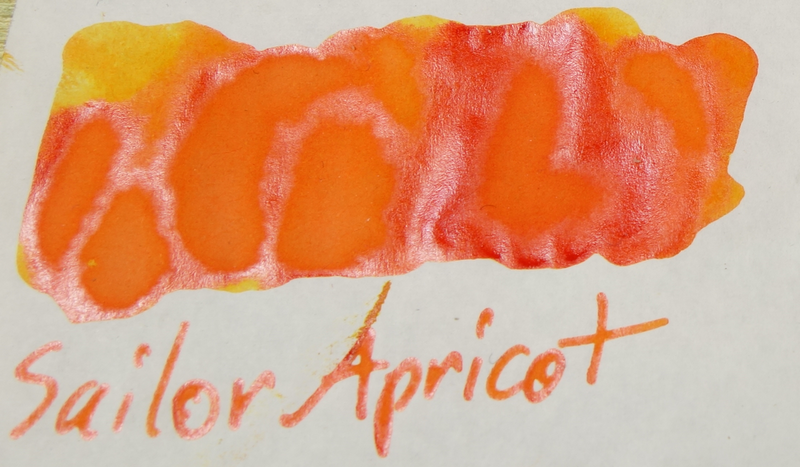 Apricot seems to have more sheen (and the sheen looks slightly more golden than Kin-Molusei's silver sheen? Might be imagining it!) Shading is very similar but Apricot lighter range seems to get a little yellower. Kobe #25 Tarumi Apricot is very different from Sailor Apricot. Much less shading and a hint of pink. Much less sheen! Bungubox Fresh Orange Mandarin has a lot of sheen (more than Kin-Mokusei or Apricot) but definitely has a more brown look to it. Robert Oster Orange and Bookbinder's Online Everglades Ratsnake have similar orange colours to Apricot but do not shade to the yellow of Apricot (or shade much at all). Robert Oster Peach, Noodler's Apache Sunset, and Caran d'Ache Saffron look better on Rhodia than Tomoe River. Diamine Marigold is similar to the newly re-released Montblanc Golden Yellow (you'll have to take my word; I got my Golden Yellow after making this review). Tomoe River was actually pretty disappointing on the Caran d'Ache Saffron and Robert Oster Peach. Noodler's Apache Sunset is renowned for not drying but it's been 5 days since I made the swatch of it on Tomoe River and it still hasn't dried! Caron d'Ache Saffron also appears to have suffered a lot on Tomoe River. Much of it's vibrancy has somehow been sucked out of it. It's rather drab and uninteresting. If you want an Apricot replacement, Kin-Mokusei, though still somewhat difficult to acquire, is easily a good enough equivalent to Sailor Apricot and still much easier to acquire. 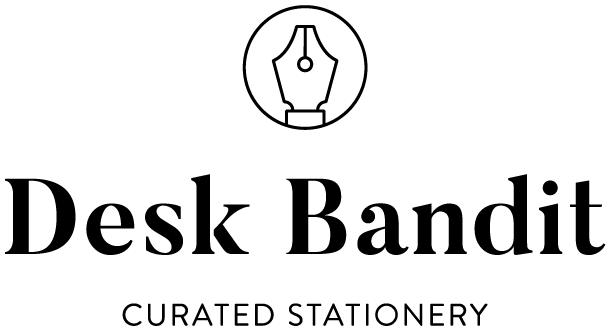 Bookbinder's Online Everglades Ratsnake and Robert Oster Orange are really great orange that are comparable to the orange hue of Apricot and if shading isn't something you need in an ink, then they also might work as a substitute of sorts. I think I need to spend more time finding an ink that might substitute Caran d'Ache Saffron, but Robert Oster Peach does a decent, albeit probably lighter job of it. Bungubox Fresh Orange Mandarin might also work but it seems a little more orange with less brown. Let me know if any of these orange inks are something you'd like me to review in more depth!